Henry knows what part of the crib is closest to the door. When he wakes up he will make his way over, use his arms to lift his head up as high as he can and look over the edge of the bumpers while calling for us. 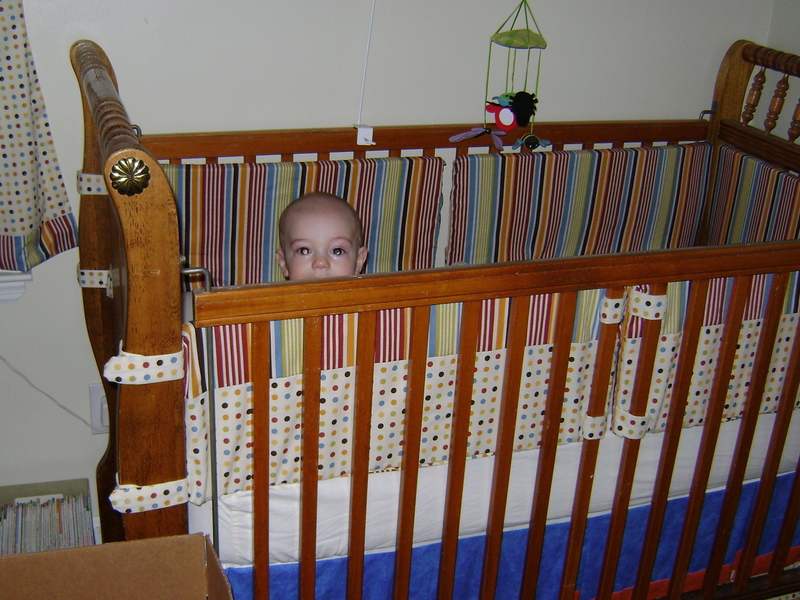 One day when I didn’t immediately come rescue Henry from the crib he grabbed the top of the bumper and pulled. To his great surprise and delight he learned that he could pull the bumper down and off the rail (they are held on by velcro tabs). This of course was a new trick that he wanted to practice every time I laid him down. 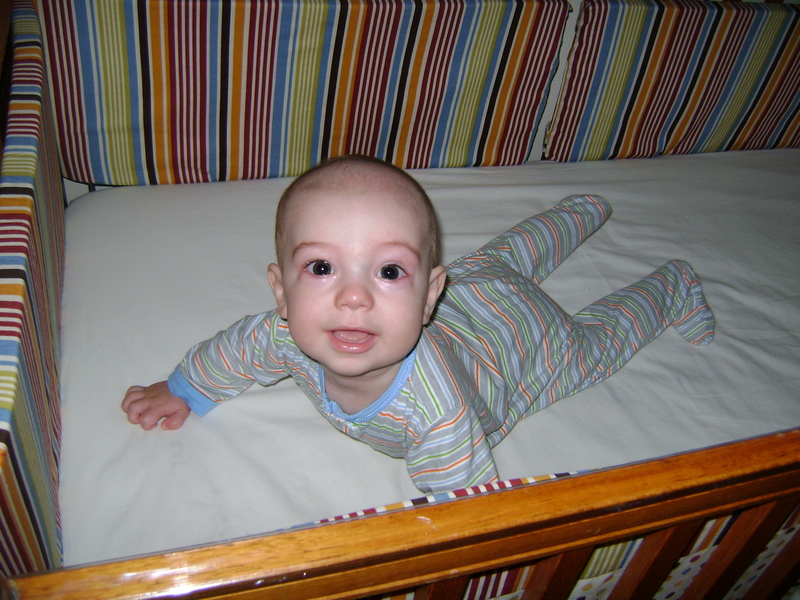 Forget going to sleep….tearing down the wall was bringing him one step closer to freedom from the crib! He was even more thrilled when my parents were staying at our house for the family reunion and Stephen and I were sleeping on the floor in his room. Now when he pulled down the bumper we were right there! 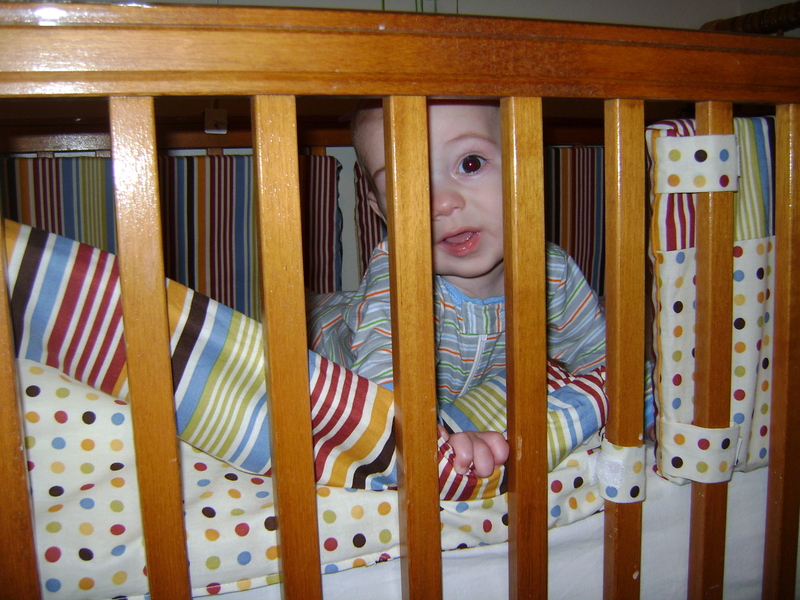 My solution to this little game was to move the bumper panel that he always pulls down from the inside of the crib to the outside. It has worked so far. All too soon he will be pulling himself up on the side of the crib and then trying to climb out. Yikes! He is growing up fast.